His Hindustan Nirman Dal is fielding 100 candidates in 12 states. Togadia had recently floated a new political outfit called Hindustan Nirman Dal (HND). He was speaking to reporters here on Tuesday after announcing names of 48 candidates of his party for Lok Sabha polls. These 48 include 26 candidates from UP. Togadia added that his supporters wanted him to contest from Varanasi. “We will take a final decision after consultation with party workers,” he added. From Ayodhya, HND is fielding Manishankar Maurya while Ambrishbhai Patel will fight against BJP chief Amit Shah in Gandhinagar in Gujarat. The party would be contesting on more than 100 seats in 12 states. “Wo unke ‘chunavi Ram’ hain (Ram temple is merely an election plank for BJP),” he said. Stating that BJP had become like Congress, Togadia rued the treatment being meted out to senior leaders like L K Advani and others. A leading daily quoted the leader as attacking the BJP for failing to keep its promises. The former VHP leader also accused the BJP of bringing up ‘nationalism’ only for electoral gains. 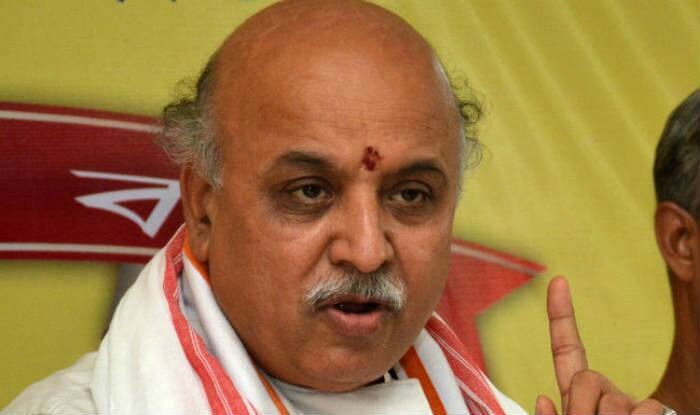 Togadia, who had been in Vishwa Hindu Parishad (VHP) for over three decades, only last year announced he was quitting the organisation after his aide Raghav Reddy was defeated by retired justice and former Himachal Pradesh governor V S Kokje in polling for the post of international president of the outfit.